TheJournal.ie will have extensive coverage as the results unfold this weekend. THE BALLOT COUNTING for the general election began at 9am this morning. The results of the first counts are expected this afternoon. 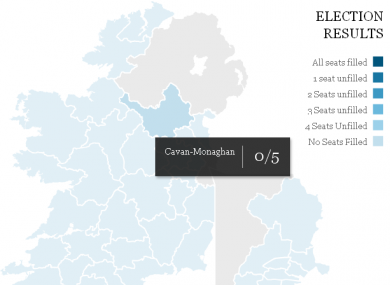 TheJournal.ie will be bringing you live and up to date coverage as results emerge from the count centres. You’ll be able to follow who has been elected or eliminated on our election results page with our interactive map showing the latest state of play constituency-by-constituency. We’ll also be reporting the latest news from the count centres as well as bringing you a round-up, every hour on the half-hour, in our Half-Past Fix. And you can follow events on Twitter – @thejournal_ie, or on our Elections 2011 Facebook page. Email “TheJournal.ie’s live and up to date coverage – as results emerge”. Feedback on “TheJournal.ie’s live and up to date coverage – as results emerge”.